There was much anticipation for this event. So Sunday afternoon, before you and your brother watched a movie with Mommy, she took you to the bathroom floor where she carefully painted each of your fingernails and toenails. Needless to say, you were so proud to have Mommy do this for you. Yeah, you are such a little girl. Mommy and I are proud of you anyway, but last Thursday, you came home from school and told us that your teacher chose you are the 1st boy “Student of the Month”. That means your teacher saw something quite special about you and the girl in your class who were picked; based on you diligently doing your school work, participating in class, and being a positive influence on your friends. At just 3 weeks into the school year, you had set enough of an impression on your teacher as the stand-out boy in class. Seriously, that’s a big deal! Selfishly for me, it’s a confirmation for me that despite my imperfections as a parent in raising you, you’re still an intelligent, involved, and well-behaved little boy. I have to admit that as your parent, you are technically a human experiment to me. You’re my first born. I will by default make more mistakes on you than your baby sister, who is nearly 5 and a half years younger. When you were born, I was a much less experienced 29 year-old guy. Now, I’m a 35 year-old dad who has much more confidence as a parent. It’s so important to me as your dad that I mold you into a well-balanced boy, and ultimately, a well-balanced young man. This past weekend your Papa, Uncle Andrew, and I spent two mornings putting together the new trampoline Nonna bought for you and your Cousin Calla when you visit. Finally, the time had come to try it out. You and I played rough for a solid 20 minutes or so before I finally wore you out. I caused “earthquakes” (by jumping hard right next to where you were standing), I wrestled you, and I let you ride me like a bull. That’s how I like to raise you. I like to show you unexpected adventure. I want you to be wild and crazy. I want you to be dangerous with me, yet hopefully not get injured too badly in the process. I want you to be… a boy. And then I want you to return to school the next day and convince your teacher that you are still the best behaved and most involved boy in class. Last Friday I took off of work since your daycare was closed. While most of my day was spent changing your diapers, feeding you, and playing with you, we did get out of the house when we not only dropped off your brother Jack at school, but later went back to eat lunch with him there at the school cafeteria. You had a wet diaper as we arrived at his school about 15 minutes early. I didn’t care enough to find the proper place to change you, as I didn’t want to tote your car seat and my book bag (with your diapers) with me, so I just changed you right there on the bench I was sitting on; which was sort of hidden by the staircase above me. Afterwards, I stood you up in my lap to face the oncoming students, teachers, and room moms. Of course they all made a point to smile back at you and tell me how beautiful you are. A few minutes later, we saw your brother Jack leading the line. While carrying you, the car seat, and the book bag, I attempted to follow him in to help him get his lunch. Mommy usually makes his lunch, but on Fridays, he buys the school lunch, because he can get vegetarian pizza that day. Unfortunately, they had just ran out of pizza and gave him a pork sandwich instead by the time I caught up to him. Miraculously, his class’s room mom appeared and helped us negotiate a peanut butter and jelly sandwich instead; even though you had already paid for the pork sandwich. We ended up sitting with the room mom and her daughter. She commented that she had seen me sort of struggling there with you as I had to find a place to change your diaper. As we left after lunch, other moms and teachers bragged on me for simply showing up; even if my attempt was a bit awkward and unskilled. I simply get praise and credit for just doing my job. Whereas for moms, they are simply expected to do those things. Granted, the trade-off is that dads and husbands have been historically portrayed as idiots on commercials and sitcoms. Maybe the ultimately irony is that less is expected of us dads because of the way we’ve been negatively portrayed in media, so that when we are caught “being a good dad”, it makes it seem that much more special, which it totally isn’t. You were born to parents who have an olive complexion, yet you undeniably are the color pink, in comparison to us. I like that. It makes sense to me that a baby girl as feminine as you are would be colored accordingly. And also from the beginning, you’ve had mannerisms that remind me of a kitten. For example, you’re not much of a crier. When you do cry though, it just sounds more like a little kitten meowing for someone to hold it. Whenever you play, you are just like a little kitten toying with a ball of yarn, when you see anything you can reach in front of you. In a complete coincidence, the backpack Mommy pick out for you for daycare features right there on the front of it… you guessed it- a pink kitty! I should also point out that during these past couple of weeks, you have been transitioning into using your “stand up play center”. Really, you’re still a little too young to be in it. However, Mommy and I have noticed that despite you not quite having the cognitive skills mastered just yet, your muscles are strong enough to support you. There is so much on your mind! Whatever you are trying to tell Mommy and me through all your “goo-goo” language, it sure sounds exciting as well as urgent. You are simply happy to be alive, that’s for sure. So despite the chaotic schedule our family has in the midst of Mommy and me both having full-time jobs (and me having a 2nd job of blogging and vlogging) and you and your brother being away all day at school, it is such a blessing to come home and see our precious pink little baby girl and her alien-loving big brother. Over 1,000 Likes on Facebook: Thanks to My “Family Friendly Daddy Blog” Readers! I say this not to celebrate my own efforts, but instead, to sincerely thank everyone who has chosen to “like” and follow Family Friendly Daddy Blog. As of this week, I reached a major milestone as a blogger when the 1000th person liked my Facebook fan page. Please know that I am extremely grateful for you! Gaining and maintaining 1,000 followers is not an easy task. 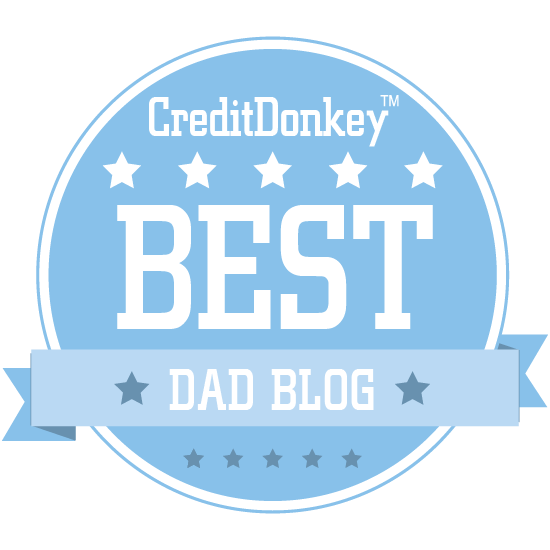 You may not even know this, or even remember it, but from May 2011 until June 2014, I was the official daddy blogger for Parents.com; the blog for Parents magazine. After their online division went under new management three years ago, they ended the contracts of us original bloggers, taking their focus in a different direction. I therefore changed the name from “The Dadabase” to Family Friendly Daddy Blog, to disassociate my rebooted blog from my previous blog with Parents.com. Back three summers ago when that happened, I was expecting to lose dozens of followers each week, since I no longer had the credentials of independently writing for a big name like I did the 3 years before. Fortunately, my fears did not become a reality. 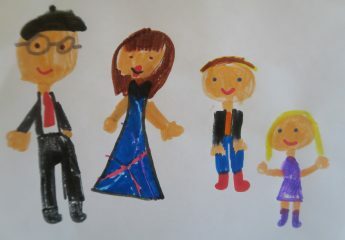 Thank you for continuing to support my blog, and ultimately, my family. Now that I have over 1,000 likes on my Facebook page, my understanding is that I have reached a new milestone with outsiders and potential sponsors, who now see my blog as a more serious platform to the public. If that is true, I am curious to find out what opportunities will present themselves. Your continued readership shows me that you share similar goals, as my agenda from the beginning has been to positively represent and illustrate what fatherhood should look like. My perspective on life has always been a bit different- and that didn’t change when I become a parent. I appreciate that you choose to support my blog. A Facebook “like” goes a long way. You’ve probably already seen my “Last Minute Father’s Day Gift Ideas from Target” post. If not, check it out, because I’m really proud of it. But, today I came across another idea; one that is much more unconventional. This year the kids can literally give Dad “nothing”… this story has been receiving some great online coverage from the Huffington Post, AdWeek and many local broadcast affiliates. I admit, if my wife asks me what I want for Father’s Day (or really, any holiday), it is typical for me not to easily be able to think of something. If that is common among dads, I would theorize part of it has to do with a husband and father feeling funny about being served by our his family. We as husbands and fathers are wired to provide for our family. Especially with my wife and I being serious Dave Ramsey followers (a few weeks ago we bought a new car and already had the money saved in the bank, not because we’re rich, because we are that strict with our budget), I always feel like I’m making an irresponsible decision if I give my family the green light to spend money on me for something I simply want, but don’t need. So yeah, I admit, “nothing” is a much more practical answer to give when my family asks me what to get me for a gift. This year, Century 21 decided to help families actually give dad nothing; as in a piece of Nothing, Arizona, an uninhabited ghost town about 120 miles Northwest of Phoenix. From now through Father’s Day, families can go to www.givedadnothing.com and enter their father’s name to lease a piece of Nothing, Arizona, for one day; June 19th, 2016 for free. Then they can then download, print, or email a certificate bestowing “Nothing” on their father – all free of charge. Yep, it’s true- and you heard it first from me! Now, granted, I would personally still recommend by giving Dad something. But first, start off by giving him nothing. *All photos and images courtesy of Century 21 Real Estate.